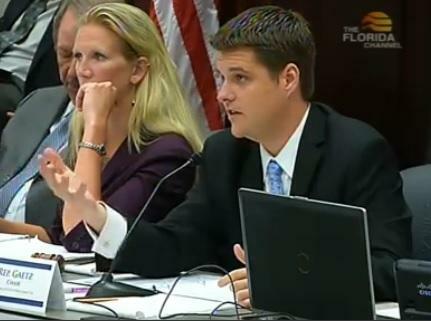 Representative Matt Gaetz (R-Shalimar) chairing a Tuesday House Criminal Justice Subcommittee meeting. 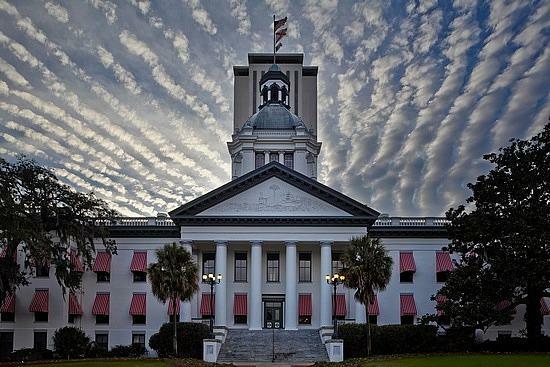 A widely-anticipated hearing on Florida’s Stand Your Ground law may have hit a bit of a snag. Shalimar Republican Representative Matt Gaetz outlined plans Tuesday for the House Criminal Justice Subcommittee. It’s a committee he chairs and he says its main goal is holding a hearing on Stand Your Ground. “Item number one is listed as number one because it’s the only project that Speaker Weatherford has given us and that is the application of Florida’s Stand Your Ground law,” said Gaetz. But following the meeting, Gaetz said the hearing wouldn’t happen as soon as he’d planned because a Tallahassee House member who’s been critical of the law couldn’t participate. “Well, I was planning on having the Stand Your Ground hearing next month and Representative Alan Williams is apparently the only person who sponsored a bill so far on the Stand Your Ground issue, and apparently, he’s not going to be in town. So, we have to work around the schedule of Representative Williams,” he added. Gaetz says he’s currently working with Williams to hold the hearing before the end of December. Among those expected to attend are the so-called Dream Defenders, the group that protested at the Capitol for a month because Governor Rick Scott would not call a special session to overhaul the law. 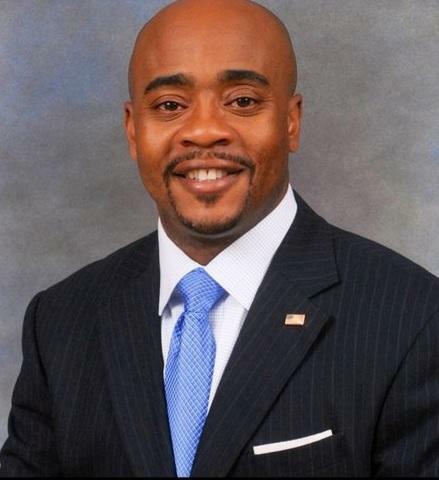 The man who sponsored Florida’s Stand Your Ground law in the state House says he wants lawmakers to tread carefully as they examine the law, but he feels there should be some type of debate. Several Florida lawmakers are hoping to legislatively reignite the debate surrounding what should be done about the state’s Stand Your Ground law. Some hope to repeal the controversial law, while others say the law just needs some clarification. While those same measures never got a hearing this year, some lawmakers say the 2014 legislative session is the perfect time to have such a debate. While a special session reviewing Florida’s Stand Your Ground law isn’t likely, one lawmaker hopes to start a discussion about the controversial law with a bill of his own. 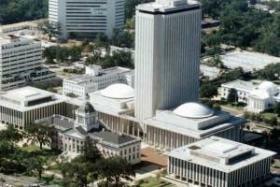 Tallahassee Democratic Representative Alan Williams has filed legislation to repeal the law. It’s Williams’ second consecutive year filing the legislation, and he says his goal hasn’t changed.